Community pharmacists and pharmacy staff increasingly are dispensing to, counselling and advising patients living with eosinophilic gastrointestinal disorders, which occur when eosinophils are found in above-normal amounts within the gastrointestinal tract. Eosinophils are important in the body’s defence against parasitic infections but in many affected individuals they accumulate in response to food and/or airborne allergens and can cause inflammation and tissue damage. 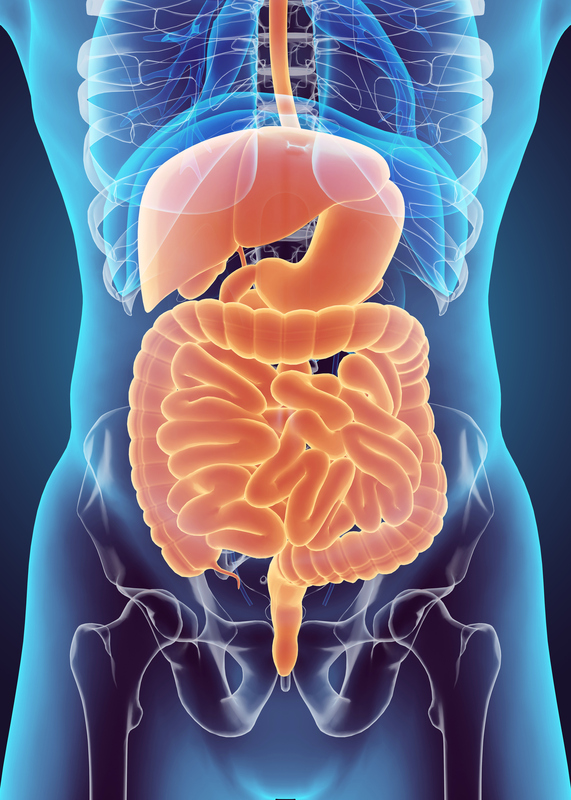 The most common form of the disorder is eosinophilic oesophagitis, or EoE, which, according to an article in MedsScape, has evolved from a rare entity to one whose incidence rates are approaching that of inflammatory bowel disease. From being a ‘new disease’ in 2000, the condition has become widely recognised. The true incidence of EoE in Australia is unknown because of lack of research but a West Australian study showed the incidence of EoE in children increased by a factor of almost 18 from 1995 to 2004. In recent years there has been increasing recognition of the disease in adults and, for unknown reasons, the condition is more common in males who are affected approximately three times more commonly than females. Consequently, most patients with EoE are young boys or men. Pharmacist Pete Ashenden of LiveLife Pharmacy Peregian Springs in Queensland has is familiar with the need of EoE patients but believes that while the data shows an increase in the incidence of EoE, there is limited knowledge of its prevalence. “I think pharmacists need to be aware that this condition is much more common than they may think,” he said. According to Sarah Gray, President and Founder of ausEE Inc., a charity dedicated to improving lives of patients affects by eosinophilic disorders, the rate could be as high as one in two thousand. “The last research in Australia indicated a rate of one in 10,000 but that was many years ago and there has been a marked increase in the recognition of the disorder since then,” she said. Ms Gray said the growing incidence could also be attributed to some extent to increased screening and testing. She said an endoscope and biopsy were needed for diagnosis but it was only more recently that adults having an endoscopy also routinely had a biopsy taken. Until then some of the diagnoses were quite accidental. Symptoms in infants may resolve in the first few years of life, particularly when only one or two foods are involved. Unfortunately, when symptoms arise in older children and adults, they usually last for many years. Follow up studies indicate that they do not seem to resolve in these groups, but more long term follow up studies may provide more information. Sometimes if the oesophagus is very narrow, an endoscopy and a procedure known as dilation may be required to open up the oesophagus to allow food to pass more easily. This relieves symptoms rather than treats the disease. Dietary manipulation should be undertaken under the direction of a medical specialist and supervision of a specialist dietician. Dietary manipulation may assist both adults and children. When undertaking dietary manipulation, the foods are removed for a period of time and then re-introduced one at a time to see which foods result in symptom recurring. Treatment regimens may involve a combination of these options and will be tailored to patient responses. Regardless of the treatment option, community pharmacies will almost invariably be one of the healthcare team helping the patient. Ms Gray said it was important for patients or their carers to establish a good relationship with their pharmacists. “You are going to need special products whether it is formula as part of the diet or prescription medications and so it is important that your pharmacist knows that you are dealing with EoE and can help you to manage the condition,” she said. Community pharmacies also play a major role for patients whose EoE is allergy related. ASCIA estimates that about 80 per cent of people with EoE also have other allergic conditions such as allergic rhinitis or asthma. “When allergy testing is performed, many will have positive skin prick tests or patch tests to foods, even when there are no obvious symptoms after they are consumed. When food is involved, staples such as cow's milk (dairy products), wheat, meats, soy and egg seem to be the most common triggers,” the society says. “Some researchers have found that people benefit if these foods are removed from the diet. Others have found that symptoms appear only during springtime when people are exposed to pollens.” Treating co-existing allergic conditions such as asthma and rhinitis is important. Up to 10% of patients with EoE do have a history of severe food allergy as well. Ms Gray said a pharmacist’s advice for allergy-related EoE patients was valuable. “If the patient also has other allergies they have to be very aware of what reactions there may be between medications and foods and so on and I have found the pharmacist to be a great help in giving advice in this area,” she said. Ms Gray stressed it was important also when first purchasing medicines to explain to the pharmacist what it was to be used for. “Some of the medications taken for EoE are also used to treat asthma, but the method of taking the medicine is entirely different,” she said. “For instance, EoE sufferers may need corticosteroid which when taken for asthma are inhaled using a nebuliser or an inhaler. “But for EoE we either swallow the medication administered by an inhaler or open the respule medication and mix it into a slurry which we swallow to coat the oesophagus. Some doctors may suggest the use of Gloup medical lubricant for the patient to make up the slurry. This could cause confusion, especially among patients who were not very health literate or for whom English was a second language. Pharmacist Pete Ashenden has some advice for pharmacists with EoE patients. “EoE patients will likely require the use of some medicines in a very different manner than is usual,” he said. “Be prepared to have an open mind. “Pharmacists should also acknowledge that the parents of EoE children will probably have a very good understanding of the condition and medications. “They now live with the condition that can have a big impact on their child's life. Community pharmacists need to be aware that while the symptoms of gastroesophageal reflux disease (GORD) and eosinophilic esophagitis (EoE) may be similar at times, they are distinct conditions whose treatments are very different. GORD is a reflux problem while EoE is widely regarded to be caused by allergy or immune deficiency. However, both GORD and EoE involve eosinophils in the oesophagus. And only a biopsy can determine the difference. One of the treatments of choice in GORD is proton pump inhibitors which act on abnormal acid levels in the stomach. But these medications do not prevent the symptoms in EoE where the acid of the stomach is normal. A week of activities will be held from 6-12 August to raise awareness of eosinophilic esophagitis (EoE) in Australia. ausEE, a charity dedicated to improving lives of patients affects by eosinophilic disorders, is conducting National EOS Awareness Week with events and resources all aimed at raising public and health professional recognition of the condition. One event is the Top 8 Challenge which highlights that EoE sufferers may be allergic to not just to a food, but to most foods. Participants are asked to help in the fund raising by forgoing on 8 August any food containing wheat, milk, eggs, fish, peanuts, tree nuts, soy or shellfish. The National EOS Awareness Week website also has links to resources and other ideas to help raise awareness.